Martina Liana Fall Bridal Collection was launched recently and it has all the glamorous and elegant designs that you need on your wedding day check the complete collection with details. Martina Liana brand is famous for designing classic to modern silhouettes gowns brand is headed by chief creative officer Martine Harris with their international design team together they have taken then brand to new heights and now they are one of the top bridal labels in the world. Bridal gown is worn once in life so its special for women that’s why every designer create it in memorable style so women can remember her wedding dress for the long time. This collection is inspired from the love story of the bride every dress tells the story of a bride how she have grown up to this stage where she can take her own decisions and become mature. Every dress have romantic detailed work which your groom will love on you from classic designs to glamorous luxury designs you will get everything in this fall bridal collection. 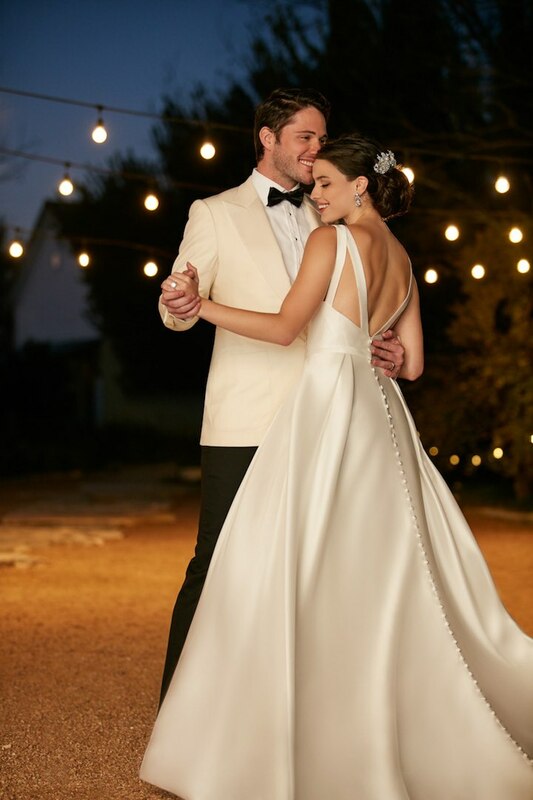 Martina Liana dresses are special they will make you confident on your wedding dress we know every bride is confused on her wedding day and before wedding she is confused about choosing her dress. Many people will help you and guide you to choose the right thing for you but at the end it will be your choice we are also here to display best wedding dress designs from all over the world. We have shown you lots of summer wedding dresses now we are moving towards autumn and fall season when temperature will be cooler so designs will be different. Martina Liana Fall Bridal Collection is piece of an art like a song which completes you at the end so browse through the full gallery and find the perfect dress for you.